The Gov. Juan F. Luis Hospital on St. Croix has signed a collaborative agreement with Metro Pavia Health System to refer patients at a reduced cost for specialized care. Metro Pavía Health System is the largest affiliated hospital network in Puerto Rico and the Caribbean with twelve hospitals across the Island. 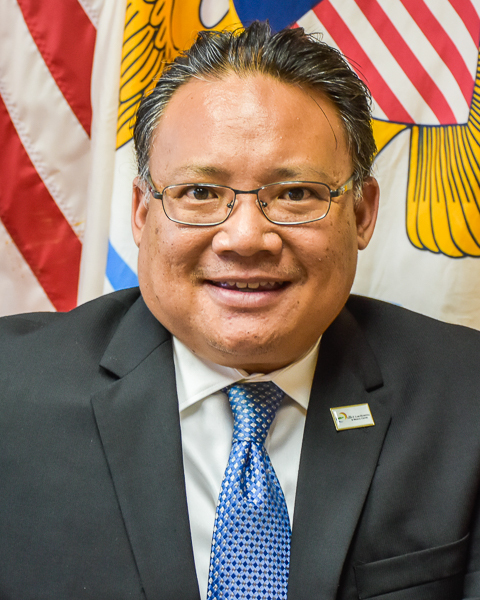 “The partnership with Pavia will provide patients with greater access to specialized health care within close proximity to St. Croix,” Acting JFL Executive Director Richard Evangelista said in a statement from JFL and Metro Pavia. According to Metro Pavia, its hospital’s medical staff are fluent in English and Spanish. They offer a free medical concierge service and have information centers in Puerto Rico,Tortola, St. Thomas and St. Croix. St. Croix patients will get the benefits of Metro Pavia’s international patient medical concierge program, which include treatment, coordinated ground transportation for the patient and companion and personalized attention from a bilingual patient advocate (English/ Spanish) during the hospital stay, according to Madeliza Ramirez, director of the Medical Tourism Program at Metro Pavia Health System. “Also we will be able to offer medical education to JFL’s faculty and clinical consultation by our medical specialists,” Ramirez said. Metro Pavia Health System has six hospitals specialized under the Medical Tourism Program: Hospital Pavia Santurce known for its specialties in cardiology, gynecology, obstetrics, urology, and neurosurgery; Hospital Pavia Hato Rey for orthopedics and plastic surgery; Hospital Dr. Pila, with specialties in urology and orthopedics; Hospital Metropolitano in Río Piedras with services in oncology and women’s care; Hospital Pavia Arecibo, with its hyperbaric chamber and specialty in gastroenterology; and Hospital San Francisco for pediatric and general surgery services. Metro Pavia Health System accepts many forms of health insurance, including: Mapfre, United Healthcare, Medicare, Corvel, Atlantic Southern/Redbridge, Triple S, Aetna, Blue Cross Blue Shield, Nagico, Colonial, NHI, MAP, among others. For uninsured patients, the System offers preferred rates in most of the outpatient services by joining the free Extra Care Card, a preferred patient membership program. The Pavia St. Croix Information Center office hours are 8:30 am to 3:30 pm, Monday thru Friday. For more information, call 340-719-6631/340-715-1190 or visit www.medicaltourismmphs.com.